Last night was a dismal one for the GSM team. 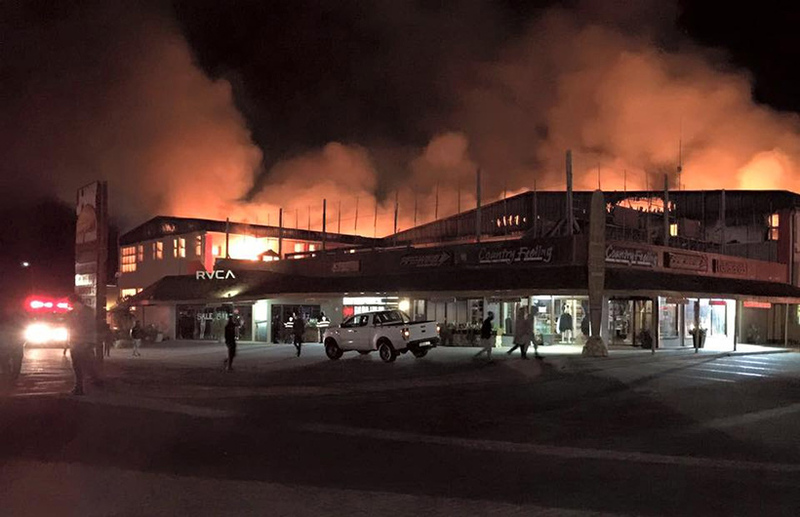 In the wee hours of Wednesday morning, at around 01h00, while most of the Billabong team were down in Ballito for the Pro, the J-Bay Billabong HQ warehouse caught fire, causing severe damage. This couldn’t have come at a worse time, with the surfing world honed in on the Billabong Pro and just days ahead of the J-Bay Open. 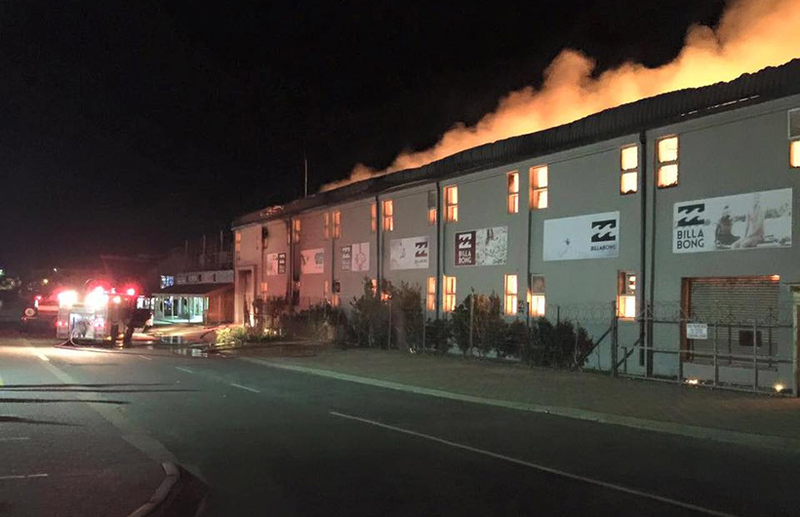 The fire broke out overnight, so thankfully most of the staff were at home with their families. Zigzag spoke with GSM General Manager, Ernest Bendeman, who said that “the most important thing for GSM is that all staff are accounted for and that there were no casualties or fatalities”. 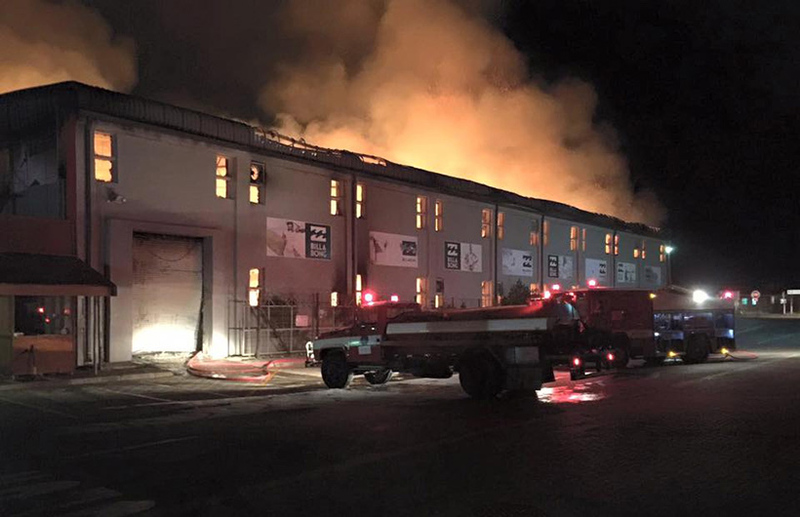 Despite the devastation to the warehouse, all staff are 100% safe and nobody was hurt or injured – nor did the fire effect any of GSM’s other business units or any of the surrounding businesses in Da Gama Road. It appears that the fire was contained in the warehouse. The cause of the fire is unknown at this stage. “The next step is to figure out what happened and deal with insurance claims etc,” continued Bendeman, “but the most important thing is that everyone is safe and now it is just the process of mopping up and re-building”. Sending good wishes and support to the team! Firefighters spent hours trying to contain and eventually extinguish the blaze. We heard the waves are firing in J-Bay, so turn off those cellphones and go surfing!